The location of Dwór Konstancin *** in the very heart of the Chojnów Landscape Park and the neighborhood of the „Sewan” stable gives a great opportunity to relax in the saddle away from the urban noise, close to the nature. On your request we will send a special surprise invitation at the indicated address. It is the perfect place to begin an adventure with these noble animals – horses. We invite to Dwór Konstancin*** all of you, who want to improve your skills and experience in horse riding and those who never even tried. 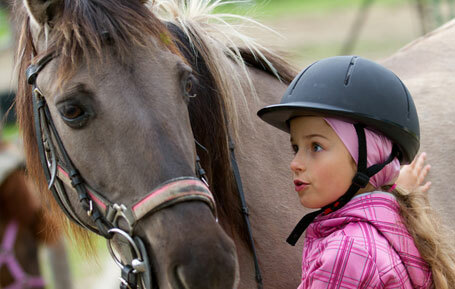 During our stays for beginners, under the care of experienced and qualified instructors, PEF trainers, you will learn the most important information about horses, their behavior, physique and horsemanship. 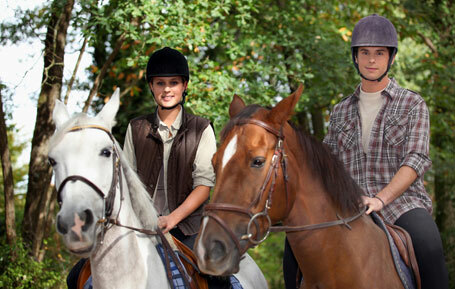 Time spent in the saddle and the trainings schedule is set individually for each participant. 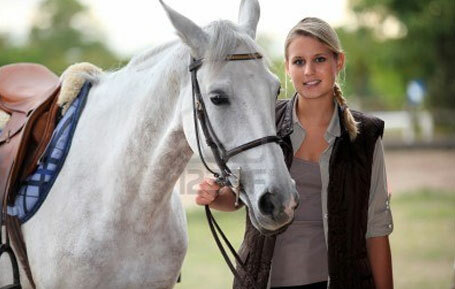 We offer horse riding on various levels – The PEF Bronze and Silver Badges Program. Every course can end with awarding of diplomas. While spending time with horses, besides the practical part, you will also possess knowledge of: safety, cleaning and saddling, taking care of equipment (maintenance and care), nourishment and feeding. We hope that after a pleasant relax in the saddle, in this beautiful spot in Konstancin, you will fall in love with these gracious animals and desire to make this adventure last forever. In order to vary your stay in a pleasant way we also offer (paid separately): graduation towers, Nordic walking and tennis court. To guarantee your reservation, 40% of the whole price should be paid in advance on the hotel account not later than 3 days from the initial booking.